To add a citation in Authorea, select the `Cite `button on the toolbar of any active document. 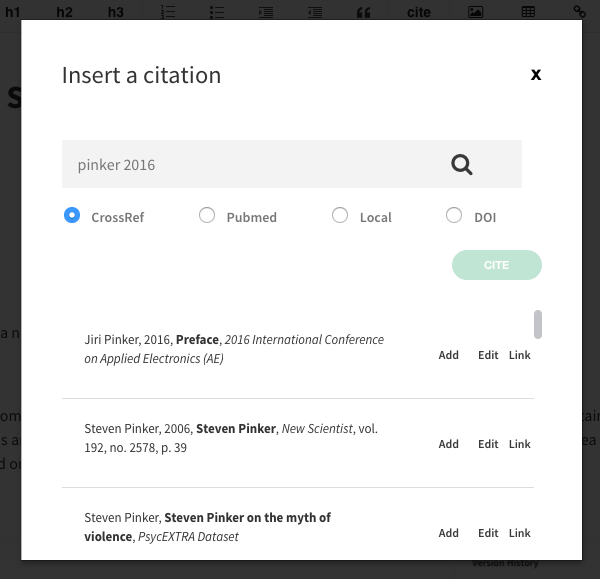 The Cite button calls a window which provides several options for citations. The first option is to search Crossref for citation information. The search functionality supports search by author name, year, publication, or keyword. Select Add next to the citation to add it to the modal. 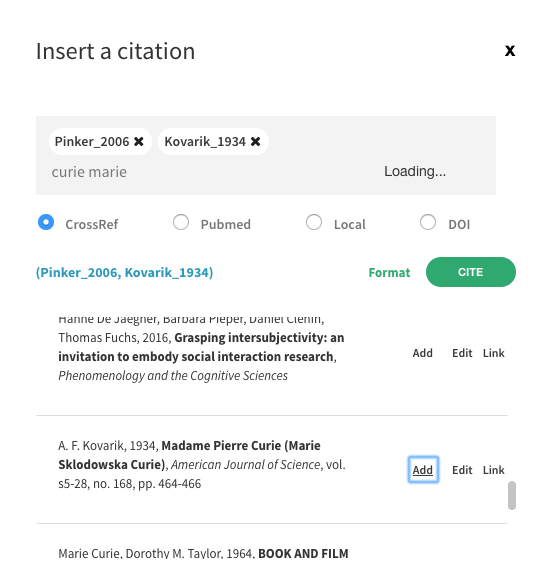 You can search for another citation and add it to the first citation if you would like to cite multiple sources at once. To search citations you&apos;ve already added, you can search Local. 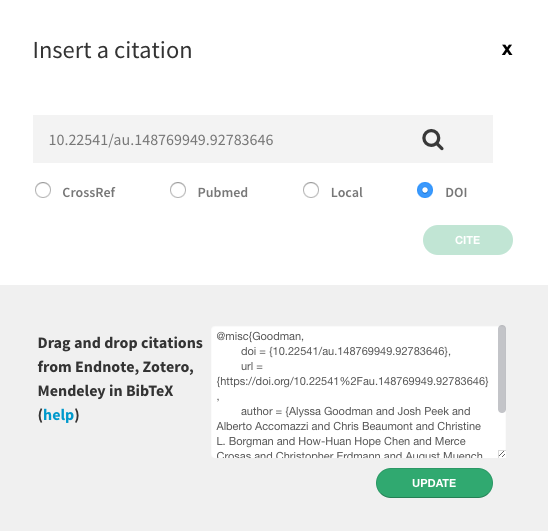 Citations may also be pulled from popular reference managers Endnote, Mendeley, and Zotero, Google Scholar, and directly from BibTeX.